Many stepparents play a crucial role in the life of their stepchild by caring for and raising the child. Formalizing the adoption is a natural desire and is one of the most common and straightforward types of adoption. When a parent adopts a stepchild, the parent is agreeing to assume the legal and financial responsibilities for the child. Yet, before a stepparent can legally adopt, the child’s biological parent will have to relinquish or have terminated their rights as a parent. In addition, both biological parents will have to voluntarily consent to the adoption. If the child is at least 14 years of age, he or she will also need to grant consent in writing. In most states, because of the nature of the adoption, neither a waiting period nor a home study are required, which can speed the process significantly. Though less complicated than other kinds of child adoption, there are many moving parts to a stepparent adoption. In order to receive court approval, proper processes and procedures must be followed. That’s why it is beneficial to trust your adoption to an experienced family law attorney like Todd M. Boudreaux. If you are considering the adoption of a stepchild in the Augusta area, Boudreaux Law Firm will help you navigate the legal ins and outs of Georgia law. 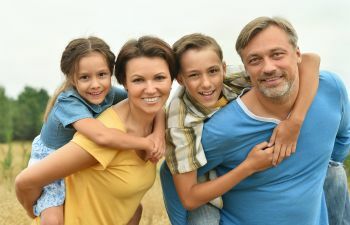 As expert adoption attorneys, we will help ease the process by helping you meet filing deadlines and requirements, terminating parental rights or gaining consent, drafting and negotiating a post adoption agreement, formalizing and finalizing the adoption in the court of law, and updating social security and birth documents. Attorney Todd M. Boudreaux at the Boudreaux Law Firm is passionate about helping unite children and stepparents through adoption. He will walk with you every step of the way as you seek to legalize your parent-child relationship. Contact us to set up a time for a free consultation to get your stepparent adoption underway.